RACISM is on the rise across Europe – and the EU can play a key role in combating it, a conference organised by the Greens in Brussels has heard. 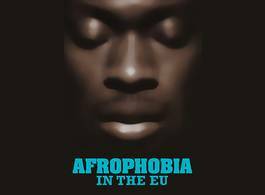 The conference, entitled ‘Afrophobia in the EU’ was organised by the Greens / EFA Group in the European Parliament, along with the European Network Against Racism. The conference was co-hosted by Jean Lambert MEP, a vice-President of the European Parliament’s cross-party Intergroup on Diversity and Anti-Racism, and Jean-Jacob Bicep of the French Greens. and the European Coalition of Cities against Racism. The Conference took place on Thursday 20th February 2014 at the European Parliament in Brussels. This event, which included MEPs, EU officials, civil society organisations, artists, and academics, aimed at providing evidence on the existence of a specific form of racism,known as Afrophobia, that specifically targets Black people in Europe. The London Green MEP said the answers included forging better relations between the EU and Africa, using laws already on the statute books in the EU which will mean challenges to the police and public prosecutors when victims of racism go unsupported, and an increased electoral turn-out by supporters of anti-racist candidates. “Racism is on the rise across Europe – and there is a real risk that we will see a rise in the number of xenophobic and racist politicians elected to the next European Parliament in May,” she said. She added: “We need the EU to act – and if that’s going to happen we must make sure there are as many progressive voices elected as we can. “The EU must establish better dialogue and joint working with countries throughout Africa and the Caribbean: for example, by having a formal Delegation for Nigeria, Africa’s most populous nation. This entry was posted in International News and tagged 'Afrophobia in the EU', ECCAR, ENAR, Greens / EFA, he European Network Against Racism, Jean Lambert MEP, Jean-Jacob Bicep, the European Coalition of Cities against Racism, the European Parliament by tamesidegreens. Bookmark the permalink.